The ISE 2018 Fair took place from 6th to 9th February in Amsterdam. To the Netherlands, for the seventh time ELKO EP released new innovations. Our presentations include wireless and bus wiring, and products responding to the dynamically evolving Internet of Things. The prestigious event was also attended by the top performers in audio-visual, automation and integration systems. 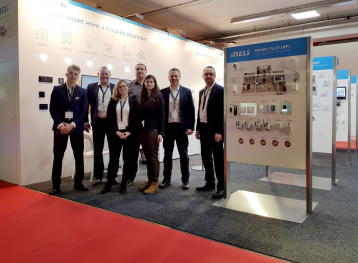 Visitors to our booth were particularly attracted by the innovative solutions for smart buildings, smart cities and iNELS Air. Most of the attention from this product line was garnered by the smart street lighting. The AirSOU-100 dimming sensor, which can capture the intensity of ambient light and react flexibly to it, it was admired by hundreds of experts from all over the world. 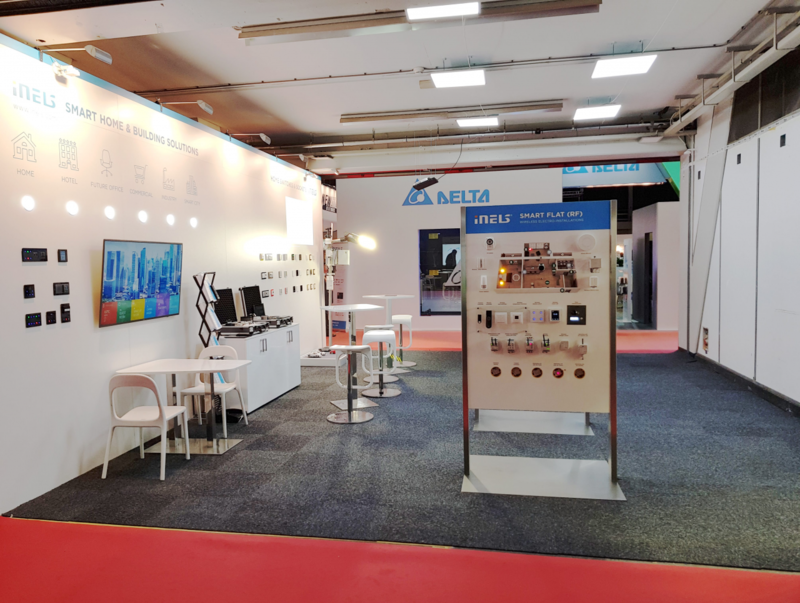 For the ISE trade fair, we had completed the AirSLC-100 two-way communication module, weather station, air and dust quality sensor, and solar panel and Wi-Fi hotspot. However, the individually connected devices may vary according to the individual needs and wishes of the customer, the transport monitoring cameras, payment terminal, information panel, SOS button and much more can be connected to the system. The elegant iNELS Touch Panel gained a great deal of recognition which can control smart electrical installations from a single point. The 10-inch touch panel unit runs on a dual-core ARM Cortex-A7 processor with 1GB of DDR3 memory. Last but not least, the powerful iNELS JACE control system, which is fully compatible with the BMS platform, offers great solutions for office, hotels and restaurants, and will not be lost even in large production halls and warehouses. We thank all the visitors who stopped at our stand during the fair and look forward to seeing you again next year. 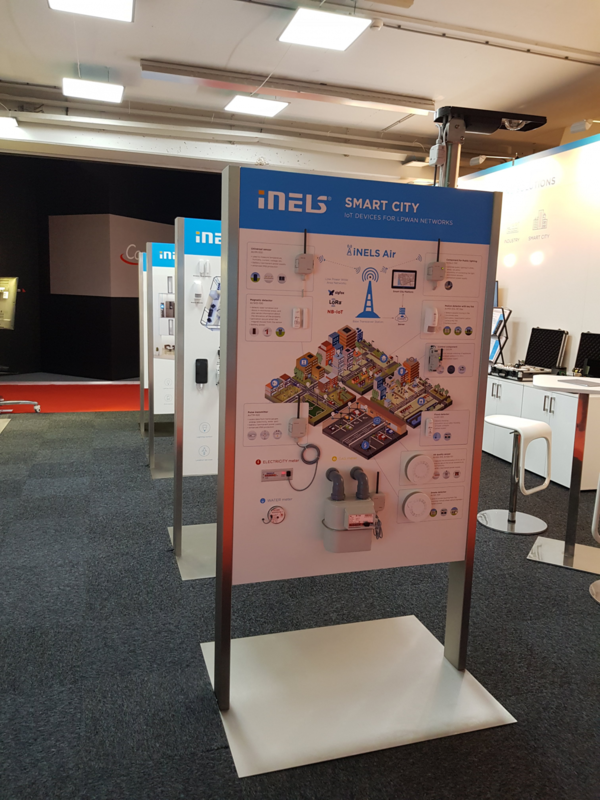 The Integrated Systems Europe technology fair has been held in the Netherlands since 2004 and is one of the top European events. Last year, over 73,000 visitors attended. 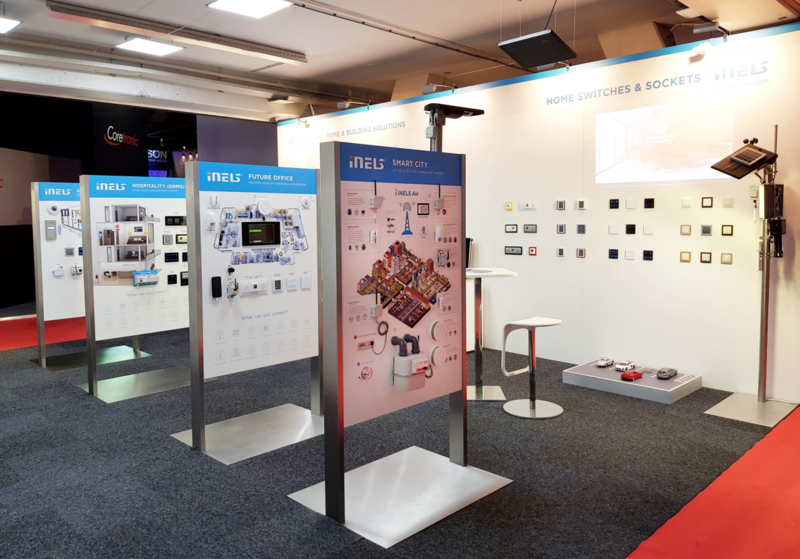 In 14 halls exhibitors regularly provide news from the field of audio-visual technology, smart technology and electro mobility.